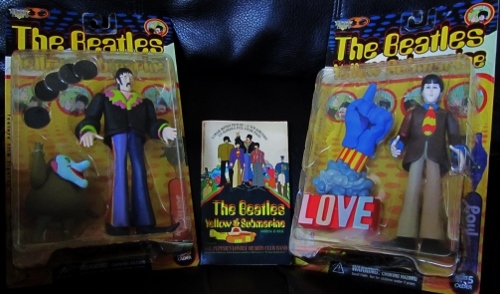 The story, of course, is just a simplistic retelling of the animated feature film, but the reason I’m including Yellow Submarine in Bill’s Bookshelf is the extras at the end of the book. It had been years since I pulled this book from the shelf, and I had totally forgotten the humorous meta-fictional entries in the back, after the story ends. 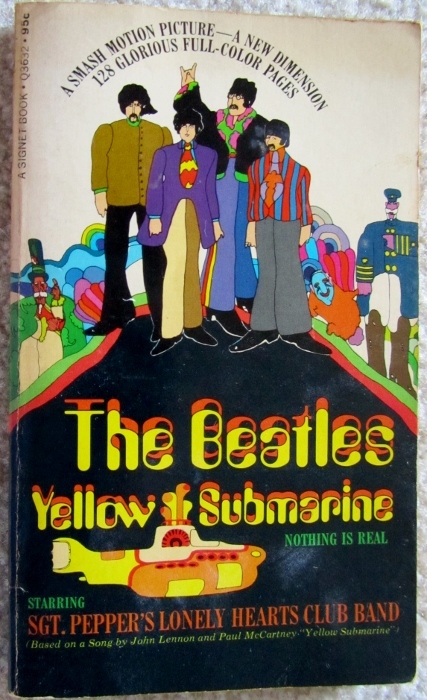 There is a farcical essay, complete with footnotes, called The Yellow Submarine and the Tradition of Western Literature, supposedly “Reprinted by permission of the International Journal of Comparative Angst.” Among other things, the essay ponders the disagreement among scholars as to the correct translation of the submarines color. “C. H. Whitman refers to the Homeric epithet xanthos, meaning golden, yellow, or perhaps not…W. J. Sloane makes it mauve, with dove-gray trimmings, but this is a fringe viewpoint.” Of course, it’s all nonsensical. 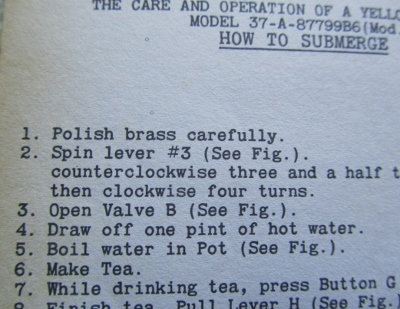 There are also instructions for a submerging that include boiling water for tea. By the early 1960s, Alfred Hitchcock was riding an enormous wave of popularity. His television program, Alfred Hitchcock Presents (1955 – 1962), had made the director a household name. 1960 saw the release of his highest grossing and arguably most famous film, Psycho, followed sensationally in 1963 by The Birds. I’m a “baby boomer.” Watching and discussing Hitchcock with my parents helped us to relate, to bridge the generation gap. I suspect it was this way in many homes. The market was ripe for all things Hitchcock. He shrewdly licensed his name and likeness to board games, magazines, books, and other merchandise. I think the Bobblehead came much later. 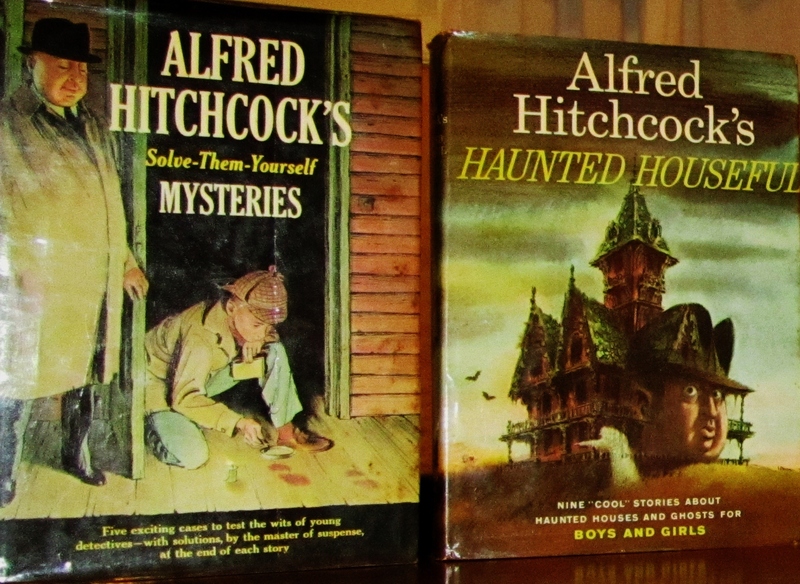 Hitchcock lent his name to two book series marketed by Random House as “books for young people.” One series, The Three Investigators, was similar to the Hardy Boys adventures, but with three young sleuths instead of two. Created by Robert Arthur, Jr., who also wrote some of the books and suggested story lines for others, always featured a final chapter in which the three boys conferred with Alfred Hitchcock, going over the clues that helped them solve the mystery. The other series was a succession of theme-based anthologies: Alfred Hitchcock’s Haunted Houseful (1961), Ghostly Gallery (1962), Solve-Them-Them-Yourself Mysteries (1963), Monster Museum (1965), Sinister Spies (1966), and Spellbinders in Suspense (1967). 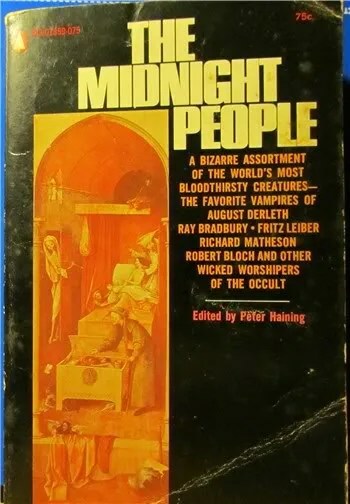 My cool Uncle Bob gave me one of these books for Christmas every year. They were large books with eye-catching colorful covers and dust jackets, and at least one illustration per story. I decided to revisit these mementos of my youth on a recent trip to my mother’s house. 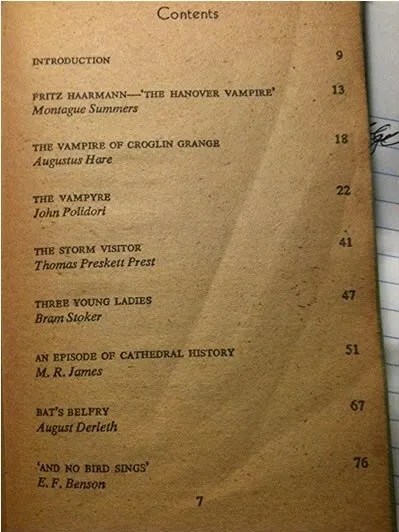 Upon pulling these volumes down from my childhood bookshelf and perusing the tables of contents, I noticed that many of the stories were interchangeable with those found in any anthology, not necessarily intended for children only. 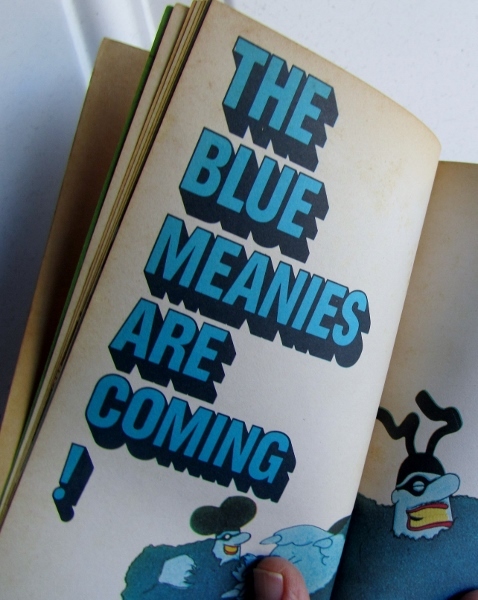 This is either because kids had higher reading levels back in those days, or because many of the stories originally appeared in pulp magazines, which generally aimed for a wide variety of readers. Special mention must be made of Robert Arthur, Jr., the real star behind these books. Hitchcock did little more than license his name and likeness to the book series. 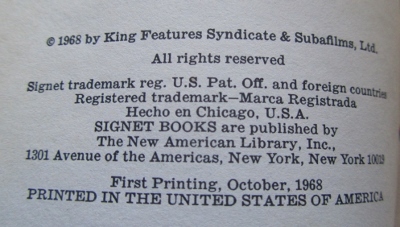 Arthur edited the books and wrote the introductions and liner notes in that famous droll deadpan Hitchcock delivery. Anyone familiar with the Alfred Hitchcock TV show can almost hear the director’s voice when reading the introductions. This is because Robert Arthur also wrote most, if not all, of the scripts Hitchcock used when speaking to the audience at the beginning and end of each show, and leading up to commercial breaks. In the 1930s, Arthur wrote for the pulp magazines, including Unknown Worlds, Amazing Stories, Detective Fiction Weekly, Collier’s, Argosy, and others. He created and edited Pocket Detective Magazine for Street and Smith, the first pocket-sized all-fiction magazine. In 1940, he studied writing for radio at Columbia University and eventually teamed up with David Kogan to write and produce a radio show called The Mysterious Traveler for the Mutual Broadcasting System. The Mysterious Traveler ran from 1944 until 1953. They received the Edgar Allen Poe Award for Best Mystery Radio Show from the Mystery Writers of America. Arthur moved to Hollywood in 1959, where he wrote scripts for The Twilight Zone and Alfred Hitchcock Presents, so he was the natural choice to edit and write additional material for the Hitchcock books. A more thorough biography of Robert Arthur can be found here, at the web site of his daughter, writer Elizabeth Arthur. Since I’ve already mentioned that some of the stories in these books transcend the genre of “children’s books,” I also remember that a few of the tales disappointed me even at age eleven or twelve, due to their generic, fairy tale nature. 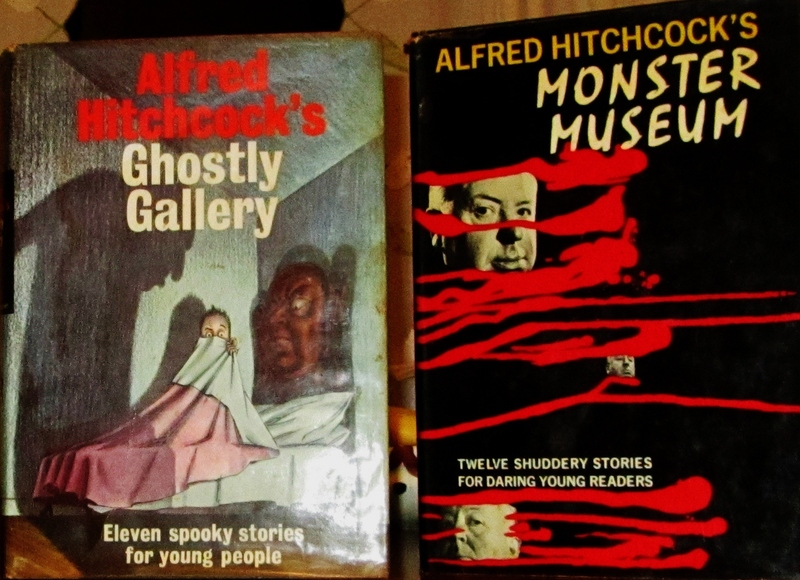 Case in point, Alfred Hitchcock’s Monster Museum includes a story written in 1950 called The Man Who Sold Rope to the Gnoles, written by Margaret St. Clair (1911 – 1995) writing under the pseudonym Idris Seabright. I should add that Margaret St. Clair is a very intriguing author who deserves further discussion, sometime in the near future, here at Bill Ectric’s Place, as her interests included witchcraft, nudism, and feminism, and her novel, Sign of the Labrys (1963) is notable for its Wicca theme. Maybe by the time I read her Gnoles story, I was already jaded by movies like Psycho, Revenge of Frankenstein, and 2000 Maniacs. 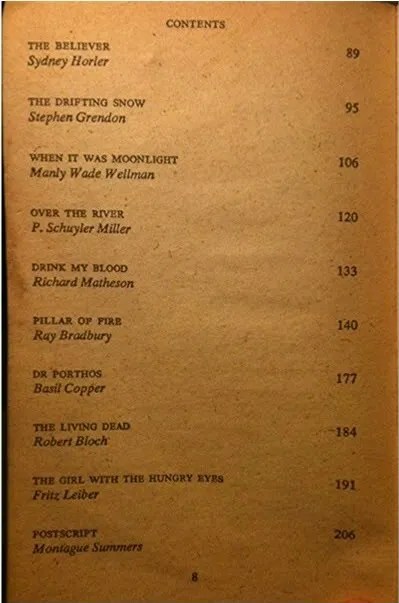 I recently found out that the same story appears in The Fantasy Hall of Fame, Edited by Robert Silverberg (Harper Prism, 1998) chosen by a vote of the Science Fiction and Fantasy Writers of America association. This made me curious, so I clicked through a series of links, trying to understand why the Fantasy Hall-of-Famer’s have such high regard for the story. The classic role-playing game, Dungeons & Dragons, includes gnolls (notice the alternate spelling from gnole) among its many denizens. Gary Gargax, who co-created Dungeons & Dragons with Dave Arneson, credits the idea to Lords Dunsany. He describes the gnoll as part gnome, part troll, even though Dunsany doesn’t specifically state this in his story. Perhaps Dunsany assumed we would get it. The term was first used by Lord Dunsany in a short story called How Nuth Would Have Practised His Art Upon the Gnoles, one of fourteen stories by Dunsany in his The Book of Wonder (1912). Writers who have named Lord Dunsany as an influence include J. R. R. Tolkien, Ursula K. Le Guin, Neil Gaiman, and Michael Moorcock. I think now I see the reason for my disappointment. 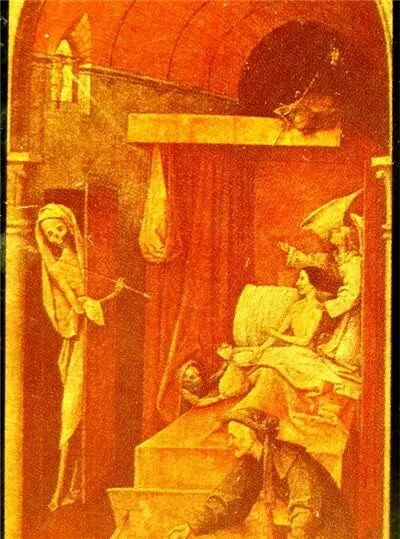 I was looking for stories that would scare me; whereas, the “Gnole” stories were an extension of the fantasy tradition, which can sometimes be scary, but mainly strives to elicit the sensation of wonder. Margaret St. Clair’s The Man Who Sold Rope to the Gnoles can be seen as an homage to the earlier story by Dunsany. 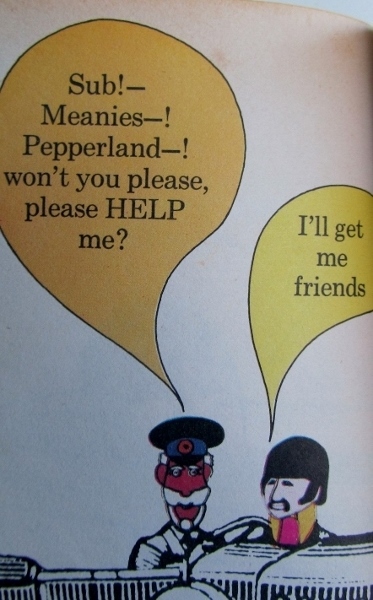 In both stories, someone tries to “get over” on the Gnoles and it backfires on them. Dunsany’s character, Nuth, is a skillful burglar. Stealing valuables from ordinary houses has become so effortless, he decides to practice his “art” on the Gnoles, who dwell in a dark forest and are known to keep large emeralds in their premises. In St. Clair’s updated tale, the interloper is a salesman, a rope merchant, well-versed in all the sales techniques that were proliferating in countless business manuals in the booming American economy after World War II. In this light, I see how the relationship between these two stories would have appealed to the Fantasy Hall of Fame crowd. Less Electricity, More Elixir of Life! While a student, Frankenstein finds fault with his university instructor’s emphasis on modern science, preferring the more ancient works of Heinrich Agrippa (1486 – 1535), Paracelsus (1493 – 1541), and Albertus Magnus (1193/1206 – 1280). Agrippa was a magician, occultist, theologian, and astrologer. While Paracelsus contributed to modern medicine and science, young Frankenstein shows more interest in his writings on alchemy and growing miniature people in jars (more on that later). I really like Magnus for his efforts to reconcile religion and science, to show that one need not contradict the other, and his study of Arab philosophers. 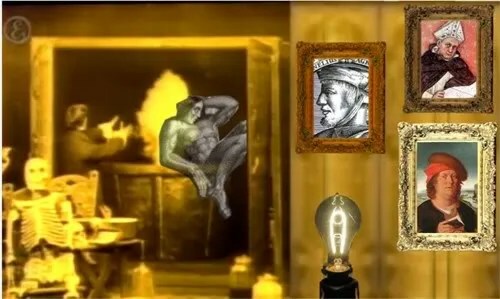 He also had an interest in alchemy, especially the Philosopher’s Stone, which could supposedly turn common metals into gold. So all-in-all, Victor Frankenstein was leaning toward some arcane influences. Some documentaries theorize that Mary Shelley was influenced by a scientist named Johann Konrad Dippel (1673-1734). Born in Germany in an actual Castle Frankenstein, Dippel is credited with electrical experiments that lead to the modern day heart defibrillator. But historians point out that Mary Shelley never mentions Castle Frankenstein in the extensive journal she kept of her travels through Germany, nor do any of her traveling companions refer to it in their letters or other writings. On the other hand, Dipple was famous during his lifetime, and even though he died before Shelley was born, one must ask: Is easier to believe that Mary Shelley decided to name her fictional scientist “Frankenstein” by coincidence, or because she had heard of Dippel and his connection to Castle Frankenstein? Maybe this was a primitive idea of cloning, although Paracelsus’ method seems a bit one-sided, not giving the female egg credit for its far more patient task. This reminds one of the sexual theories in literary analysis regarding the fact that Dr. Frankenstein shut his fiancé out of his life while he was obsessed with his creating a man. I don’t know if Paracelsus had a girlfriend. It is my understanding that the 1831 edition has been the one most commonly reprinted for several decades. I have just discovered that in 1999, Broadview Literary Texts released Frankenstein: The Original 1818 Text, edited by D. L. McDonald and Kathleen Scherf, which uses the original 1818 version, with details of later revisions in an appendix. Did I read this edition years ago, or the 1831 version? Only one way to find out. This is the kind of thing Bill Ectric’s Place was originally created for and I’m happy to have stumbled upon it like a treasure hidden right under my nose (which is almost always how it happens with me). 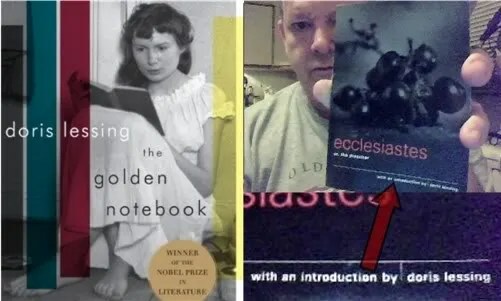 From Doris Lessing, A Retrospective , here is The Golden Notebook Project, in which seven women are reading the The Golden Notebook (1962, Simon and Schuster) and conducting a conversation in the margins. The book text is also available online for anyone to read. Yesterday I finished reading The Harvard Psychedelic Club , by Don Lattin, and I’m waiting for notification from the library that the three Madeleine L’Engle books I requested are ready for pick-up. I wanted something to read during breaks at work, so I asked the psychic forces to guide my hand as it hovered in front of the bookshelf. I really like Ecclesiastes because it speaks from a very down-to-earth, human point of view, with a shade of Zen-like wisdom. This particular volume includes an introduction by Doris Lessing. I’d read the introduction by before, but today I decided to learn more about Doris Lessing, and here I am, all excited about what I found.